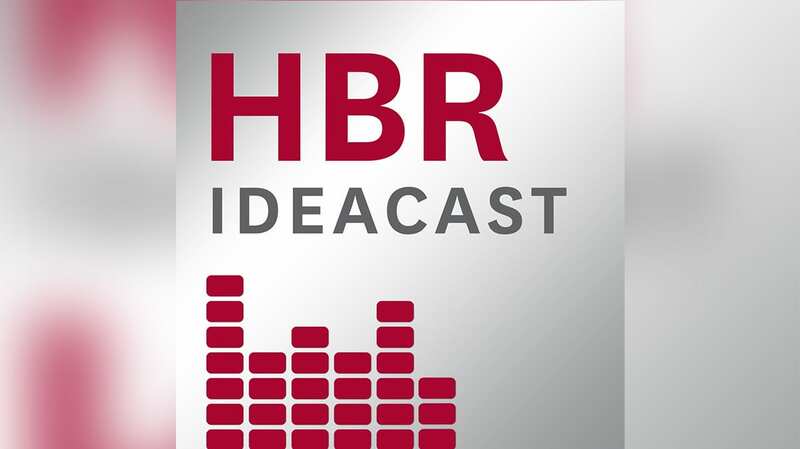 SARAH GREEN: Welcome to the HBR ideacast from Harvard Business Review. I’m Sarah Green. I’m talking today with Greg McKeown, author of the New York Times best-selling book, Essentialism: The Disciplined Pursuit of Less. Greg, thank you so much for talking with us today. GREG MCKEOWN: I’m just delighted to be with you. SARAH GREEN: I love the idea of pursuing less but with discipline. I think it’s interesting because I think most over-achievers would think of discipline as something that would help them to get more done. Start by telling me why you talk about the disciplined pursuit of less. GREG MCKEOWN: I think for most executives and high performers today, life is fast and full of opportunity. And the complication is that we have to do everything. And the impact of that is that we can end up making a millimeter progress in a million directions. And my position is we can make a different choice. We can discern what’s essential, eliminate what’s not essential, and as a result of that, make a higher contribution overall. SARAH GREEN: When you start thinking about pursuing less, you might start by kind of saying, OK. Well, there’s definitely some not so fun or not so rewarding things I could cut out here. But once you’ve done that, if your life still feels too full, but it’s all good stuff– which, of course is a great problem to have. But if you’re having trouble kind of finding stuff to cut back on, how do you start? What are the criteria you should use at that point? GREG MCKEOWN: Well, you’ve just identified one of the core problems, which is that often, we can fall into the category of, if it’s good, we should do it. If we can possibly fit it in, then we should fit in. But because of that too-broad criteria, this leads to us saying yes to things that really we should be questioning. And so what I suggest for people with this is that they become far more selective, even absurdly selective, in saying, is this the very best use of my time? Is this using me at the highest contribution? And if not, we should be questioning it. And in this way, we start to really make sure that we’re giving our energies not to just a lot of good things, but to a few really great things. SARAH GREEN: If you’re kind of looking at a list of things that, in that case, it sounds like one of them is not just your own availability or even interest, but really, what’s your skill level? What can you do that maybe other people can’t do? Do you think that’s fair to say? GREG MCKEOWN: I think it is fair to say. I mean, I can think of Enric Sala, who was a very successful professor at Scripps Institute here in California. And he was doing really good work. But there was something inside him that said, this is not the very best use of me. And what he felt was really the best use of him was to actually be an explorer in the ocean. So not just teaching about it, but being in it and drawing people’s attention to the issues that we face around the world. And so he took a significant shift in his career and decided that he would apply to National Geographic. Got a position with them, and again the same thing sort of happened. He spent the next couple of years doing really good work, but he was doing research on the oceans and so on. Eventually, he took the, I think, bold step in going to them and saying, let’s renegotiate. I want to be here, but what I really want to do, what I feel the clearest sense of mission to do, is to actually be in the oceans, not just research but also bringing attention around the world to the issues there. And so he did exactly that. And so now he is an explorer-in-residence there. He spends his life going to these pristine oceans all over the world and creating, basically, national parks in the ocean, and holding world leaders to account in helping to create these. To me that’s a pretty powerful story of somebody who didn’t just do what was good. They figured out the very best use of themselves in their career. And the contribution speaks for itself. SARAH GREEN: In some ways, this is all about prioritizing, right? Which is easier said than done. And I know you’ve written very honestly on HBR.org about some of your own struggles to prioritize. Can you just talk a little bit about that. And maybe how you personally came around on this topic? GREG MCKEOWN: Well, one of the key inflection points for me was a time when my boss emailed me the week that one of my daughters was due and said, look. Friday would be a very bad time to have a baby because I need you to be at this client meeting. And I thought they were joking. But as the week went forward, whether they were or not, I felt pressure and pulled in both directions. And it was a classic straddled strategy that I started to pursue. Could I just somehow do both? Could I somehow navigate all of this? And the baby actually was born, my daughter was born on the Friday. And instead of just being present, instead of just being able to say, look. This is essential, and therefore I’m not going to focus on anything else, I still was feeling torn. As it turns out, my manager picked me up from he hospital, took me to the appointment, and I was completely dazed the whole time. Afterwards they said to me, which I thought was interesting, they said, the client will respect you for the choice you’ve made. That isn’t the impression I got from the clients, to be honest. But even if it was, and even if some extraordinary thing had come from it, which it did not, surely I had made a fool’s bargain. And this was where, at least looking back, I said, I’ve learned this lesson. If you don’t prioritize your life, then someone else will. And what I found is that I’m not alone. I might be the only person who’s done exactly that thing. Maybe nobody’s done as bad as poor McKeown. But I think that there’s a lot of people who end up being pulled into some other agenda, or they’re trying to do both so that they don’t make somebody unhappy. They say yes to please, or yes to appease. Or even just yes to avoid trouble. But really, if they could create a space to think about it and to get clear, they would know this is not what I should be focused on. This over here is the thing I should be investing my time and energy into. And so this was one of the most important moments that challenged me to really study this subject, write about it, and to understand why otherwise capable people, successful, intelligent people, end up being tricked by the trivial. SARAH GREEN: I think also what I hear you saying in this incredibly sad and moving story is that it’s also about the short term versus the long term. clearly the long-term relationship you have is with your family, not with this client. When you say, people say yes because they feel awkward saying no, in a sense they’re also sort of making a short-term appeasement rather than doing what’s right in the long term. Because, of course, if you say yes, and then you don’t have time to deliver on what you promised, then in the long term that’s also bad. Is this in some way kind of about keeping your eye on the horizon? Or is there something else going on here? GREG MCKEOWN: It is absolutely right. And it’s a classic strategy problem that we see in businesses all the time where people are so focused on a short-term result that they’re chasing– maybe a quarterly objective even– they are not investing in the way they ought to be for the medium- and long-term horizon. So it’s a problem that executives know about in their business environment, but it’s something that somehow they maybe forget or also are guilty of in their personal life. It’s interesting you mention it, because Enrico, who I mentioned before, just emailed me. So nobody has heard this part of his story, took me by surprise as well. But just recently he was diagnosed with cancer of the kidney. And so he just went through surgery. It looks like it’s been successful. But in the process, he suddenly had the next step of his essentialist journey. And something he did, which is powerful to me and palpably personal because I have recommended this and done this myself but without the cause that he has had to do it. Is that he went and said, OK. If I had just a week left to live, what would I do? If I had a month left to live, what would I do? If I had a year left to live, what would I do? And then finally, if I have a full rest of my life left to live, what will I do? And that exercise, which can easily be done with one hour, might be the most important hour of our life. Because it’s helping to address this error of judgment we make about short term versus long term. It’s helping us to see really what is essential to us. And when you go through the exercise, what happens, I think, is that the fog of our day-to-day life starts to lift. Because in a normal life, every day we tend to think everything’s important, and it’s almost as if it’s all equivalently important. But actually, it’s not. We’re just tricked by the urgency. We’re tricked by the latest email, the latest tweet, the latest text, to make us think that this thing should garner our primary attention. But when you go through this exercise, it’s very obvious that that isn’t the case. And so it helps us to make sure our day-to-day tactics are aligned with what we want our intended lifelong strategy to be. SARAH GREEN: It’s interesting that you mention that exercise, because there’s another exercise that you talked about in one of your HBR.org posts, as well– the personal quarterly offsite, which I have since heard so many people come up to me and say, oh, that’s been so helpful. I’ve started doing these quarterly personal off sites. Can you just tell us a little bit about that exercise, as well? GREG MCKEOWN: Absolutely. I’ve sometimes come to call this the “rule of three,” which is that every three months, we should take three hours to identify what the three most important objectives are for us for the next three months. There’s lots of threes in there. But to me, it’s a very helpful rule of thumb. Because if we don’t do this, we are just buried now in the day-to-day. And nobody needs to be sold on this. Everybody knows this. In fact, I was just reading some research yesterday that identified– that according to this research, 10% more people this year than last year identified that they were stressed about something at work. A 10% increase in one year. Now, I don’t have all the details to be able to present right now, but it feels right, just anecdotally. Everywhere you turn, people are saying, you say, how are you? I’m busy. Really busy. Drowning, in fact. Everybody says it. We boast about it. We talk about it. It is the new normal. And in fact, in a way what we’re saying to other people is just because you’re stressed, you don’t have anything to complain about. We’re all stressed. You should be stressed. That’s normal. This is the expectation. And so it creates a lot of social pressure to continue in this path that we believe will lead to success. But my whole argument is it doesn’t lead to success. We’ve been sold a bill of goods. Hardworking, great people believe if you fit it all in, you can have it all. You just can’t. It’s a myth. It’s a lie. It’s been peddled to us very heavily for a very long time. It’s just not true. And so we have to choose a strategy that’s actually in alignment with natural trade-offs. SARAH GREEN: You know, Greg, when you talk about how, when someone says to you, how are you doing? and you say, I’m so busy. It strikes me that I’m sometimes guilty of saying that because it feels weird to say anything else. It’s become kind of the new, oh, I’m fine. Do you ever run into this situation where people just feel kind of awkward saying anything other than, Oh, I’m really busy. GREG MCKEOWN: Let’s just back up to the context that you are pointing to, which is that the dominant assumption in society is non-essentialism. If you can fit it in, you should fit in. I’ve described this sometimes as the busy-ness bubble, or even the bubble of more. Which is just like other bubbles before it. You have an irrational exuberance around an overvalued asset. And once the bubble bursts, it’s obvious that this was crazy that we acted in this way, that we said something was so valuable when it really wasn’t. We’re all sort of left standing surprised. Like the real estate bubble or the Silicon Valley bubble or years before, the tulip bubble. More shocking than any of them since in some ways. But the more bubble is the same. It’s saying, more itself is a value. If you simply have more of anything in this sort of undiscerning way– more friends on Facebook, more followers, more activities on the schedule, just more itself has become valuable. Now, we don’t want to be the last person caught up in that hype when that bubble bursts. We want to be one of the first to see it for what it is and to be able to make a different choice. It means saying no when other people are saying yes. It means saying yes when other people are saying no. It takes leadership. It takes courage. But what I am finding, what I see is that there already is this essentialist movement that’s taking place. I was at the world economic forum earlier this year. And there’s just one litmus test of this. And they pride themselves on setting the global agenda. For the first time there were 20 different panels about mindfulness, about the power of focus and its importance and its value in leadership and in executive presence and so on. For the first time, suddenly this had blossomed into a subject that garnered people’s attentions. And they were often the most sought-after sessions to go to. So clearly there’s a pain, but there’s also this awareness, growing awareness and consciousness, that this is not a sustainable path. So what we want to do is be one of the first into this new movement. It’s something I think none of us will regret, especially the day the bubble bursts. SARAH GREEN: Well, Greg. I’m glad that after talking with you, it doesn’t feel like such an intractable problem anymore. So thank you so much for taking some time to chat with us today. GREG MCKEOWN: Thank you ever so much, Sarah. SARAH GREEN: That was Greg McKeown. 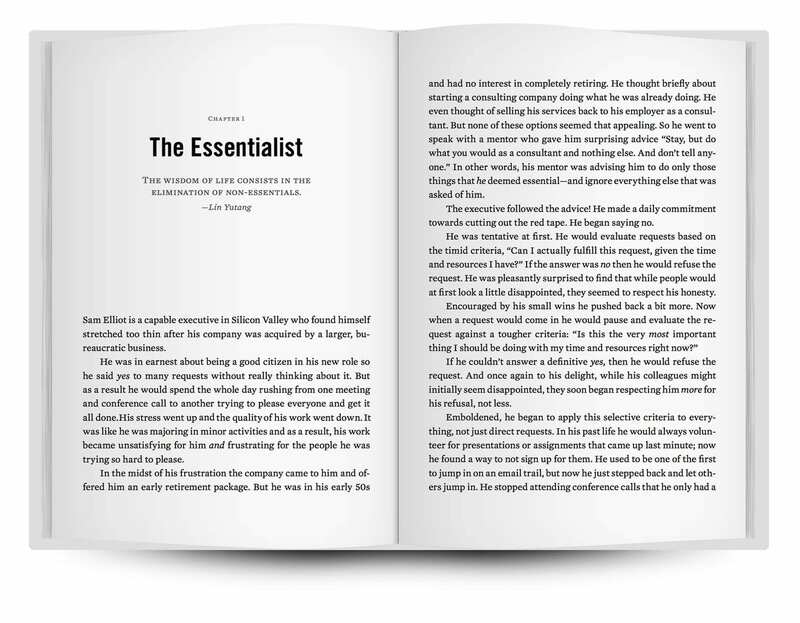 His book is Essentialism. And he writes regularly for us at HBR.org.